Everybody, of every age welcome! P.S. Feel free to pass this email on to friends….. The remaining meditation days this year are at St Michael’s Hall, and will continue there in 2012. They will be on Oct 8 and Dec 10 2011, 10:00 am to 5:00 pm. Bring vegetarian lunch to share, and see the Practical Information page for more details – please do read that page! Gather all your life energy, your total consciousness, and with an urgency as if this is going to be your last moment of life — only with such urgency you can rush towards your being, towards your very center. As you come closer to your center, a great silence descends over you. Fountains of peace spring within you. Suddenly a great ecstasy possesses you. At the very center of your being, the buddha has been hiding since eternity. You have never looked inwards. Otherwise, you have there all the treasures of the world, you have all that existence can offer you. The buddha is nothing but a door into eternity, into godliness, into the divine existence. Just witness … the body is not you. These are all just layers upon you. Hidden behind all these layers is your real being. That being is a pure witness, a watcher on the hill. Witness all the experiences that will be happening at the center of your being: the serenity, the calmness, a very cool breeze passing through you, an unknown fragrance filling your being, a blessing that you have never known, a benediction that you can share with the whole world and it will be inexhaustible. Witness: this moment you are the most fortunate people on the earth, because everybody is looking out, and you are looking in. Collect as much as you can … the flowers, the fragrance, but remain a witness. Remember, you can browse everything that Osho ever said for free at www.osho.com/library and purchase downloads of him speaking very cheaply. I had never done a meditation class like this before, so was quite anxious about the whole thing. I still felt completely out of my comfort zone when Islam described what we were going to be doing. Strangely though, within 5 minutes of starting, I felt completely safe and really let myself get into the whole liberating experience. I couldn’t believe how quickly my energy levels increased and my stress levels decreased as the day progressed. I feel I made more progress with stress and anxiety that day, than I have with 6 months of counselling and I couldn’t believe how calmer and clear minded I was 4 days later, doing my stressful job. I will be doing dynamic on a regular basis from now on, as I know, its now vital to my well being. Thank you so much for introducing me to this wonderful, simple and yet unbelievably effective technique. Elise. Next Active Meditation day is this coming Saturday March 12th. Go wild! Go crazy! Dance with abandon! Connect with the truth of your body and with your innermost self; maybe get enlightened, who knows? The day will be run by Suvarna. All practical details see the “Dates, times, location” etc link on the left. The first Active Meditation day of 2011 is next Sunday January 23rd. This one month only, January, will be FREE! – no charge, gratis, unentgeltlich, gratuito, kostenlos. Everyone welcome. Why free? – well, starting with the following month, Sunday February 27th, we are going to make some major changes, intended to make the days both cheaper and more user friendly for everyone. So next week is organisationally a one-off and it seemed simpler and more fun to make it a freebie. Please watch out for the email about the changes in the next few days. Everyone I’ve mentioned them to so far thinks they are a great idea. >>> Dynamic is optional but highly recommended. Be there 8:50 for a PROMPT start at 9:00. If you’ve not done it before, or only done it a few times, come at 8:40 for full instructions PROMPT at 8:45. >>> If you don’t come to dynamic, then please come at 10:00 for a prompt start at 10:30. >>> The morning meditations are more active, so it’s really good to come then if you can. If not, come after lunch, arriving 1:45 for a 2:00 start. >>> Please bring vegetarian food to share for lunch. Simple and easy is fine. >>> End 5:30 or before. THE OTHER NIGHT YOU SAID THAT MY CONSTANT LONGING IS A PROOF THAT I AM CARRYING A SEED FROM MY PAST LIFE, AND THAT I SHOULDN’T MISS THIS LIFE BUT LET THE SEED SPROUT AND DIE CONSCIOUSLY SO THAT I CAN WORK ON IN THE NEXT LIFE — EVEN WITHOUT A MASTER. YOU HAVE ALREADY EXCLUDED MANEESHA AND MILAREPA FROM DISAPPEARING. AM I ALSO DOOMED TO GO ROUND AGAIN? Premda, it all depends on you. If you want to do another round, it is very easy. You have done many rounds before — millions, because since the beginning we have been here doing rounds, circling. But if you are satisfied that enough rounding has been done and it is time now to stop, that too is not difficult. Nature is very simple, and it gives you total freedom — you just have to be decisive. To stop the round, you will have to drop many things — your desires, your ambitions, aspirations, greed, ego — the laundry list is long. But if you can do without laundry, you can stop any moment the wheel of life and death. It was necessary that you should go through all these rounds to bring you to the realization that now it is enough and you should stop, because there is another world that begins with stopping — another universe, desireless, passionless, full of love, full of joy, just absolute in every sense. Nothing can be more than that. So by stopping you are not losing anything, just stopping the sorry-go-round. People call it merry-go-round. I have always been puzzled why they call it merry-go-round. Nobody seems…. So I have made my own word, `sorry-go-round’. And if you see the suffering and the anguish of it all, that very seeing will stop it and then begins a totally new world of which only a few indications can be given, and those indications are not descriptions of its entirety. They are just arrows pointing. It is infinite, it is eternal, it knows no sadness, no sorrow. And everything depends on a single thing: your decision. And my whole effort is somehow to stop your sorry-go-round, but you insist that you want just one time more — as if you have not been on the same trip millions of times — just one time more. Try to understand your life as it is, and there will be no problem. The stopping will come on its own accord. Here’s a picture of the new high-tech front gate of the Meditation resort. It replaces the 30-odd year old entrance made from heavy folding timber which Osho famously termed the “Gateless Gate,” in reference to a classic collection of Zen koans of the same name. With hightened security following the German Bakery explosion last year, the austere zen-aesthetic design features a metal detector and a security railing around the receptionist/guard’s desk. Last year I was in Pune at the time of the shocking terrorist attack on the German Bakery cafe, a few hundred yards away from the Meditation Resort, which killed 17 people and injured 56. Now however, the Anti-Terror Squad have arrested a highly credible suspect. Mirza Himayat Inayat Baig was arrested on September 7, at Mahatma Gandhi Bus stand in the Camp area of the city [ie near MG Road.] He is being described by police as the mastermind of the plot, and this seems believable. Baig has apparently been linked to the mobile phone used to detonate the device, had false identity papers in his possession, lived under false names, and is claimed used 25 email identities to contact other members of the gang. He is alleged to be linked to the banned group Indian Mujahideen, regarded by police as responsible for other blasts in Surat, Ahmedabad, Bangalore, Hyderabad and New Delhi. The “chargesheet” against him runs to more than 2000 pages. The German Bakery itself is set to re-open around Christmas. There will be no pavement seating, as this was “encroached” on public land. Instead there will be a seating area upstairs. It sounds like it will be a lot posher than it used to be. My guess it that the Resort managment would probably be happy if it hadn’t re-opened at all, as they regarded it as a magnet for drug dealers and unsavoury types (I agree!). They may perhaps be happier if it opens in a more up-market format. But life is eternal. Once you have it, you have it forever. Life knows no death. Life is not afraid of death. Once you know what life is, death disappears. If you are still afraid of death, know well — you have not known life yet. Death exists only in the ignorance — in the ignorance of what life is. One goes on living. One goes on moving from one moment to another, from one action to another, completely unaware what one is doing, why one is doing, why one is drifting from this point to that point. If you become a little meditative, many times in a day you will catch hold of yourself completely drifting unconscious. The whole effort of religion is to make you aware of your existence. Existence plus awareness is life eternal — what Jesus calls life in abundance, what Jesus calls the kingdom of god. That kingdom of god is within you. You have already the seed within you. You just have to allow it to sprout. You have to allow it to come in the sunlit world of the sky, to become free, to move in freedom, to move higher and higher, to touch the very infinity. It is possible to soar high — but the basic thing is awareness. Osho Nirvanva, the Last Nightmare. have been encouraged by their responses. a space where I and others could read their own poetry. people who live in the south west outside Bristol. to come for a couple of hours starting at 7pm on an evening in January to be arranged, to my home in Leigh Woods, Bristol and read out one or more poems you have written. If this appeals to you give me a call or email to discuss coming. 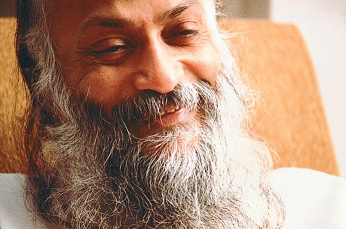 This month we have on December 11th both an Active Meditation day and an Osho Birthday celebration in the evening. Wonderful to see you at both! As ever, the meditation day is almost guaranteed to make almost everyone feel a whole lot brighter, calmer, and more connected with their inner self. (2) The Osho Birthday Celebration. This is organised by Shanti. Here is the invitation she’s emailed out – please say “Hello, and welcome to this wondrous life” to Indra, her very very new baby. Cost: £3-00. If you come to the meditation day and pay the full price of £22-50 [see practicals page ] then entry to the birthday celebration is FREE. The next meditation day is Saturday Nov 13th, at St Michaels Hall. See the “Dates, times etc” link at the top left for practical details. This day will be run by Suvarna as I am away assisting in one of Moumina’s workshops. month. But have a great day, and I’ll see you in December.